Sunday is for meal prepping! 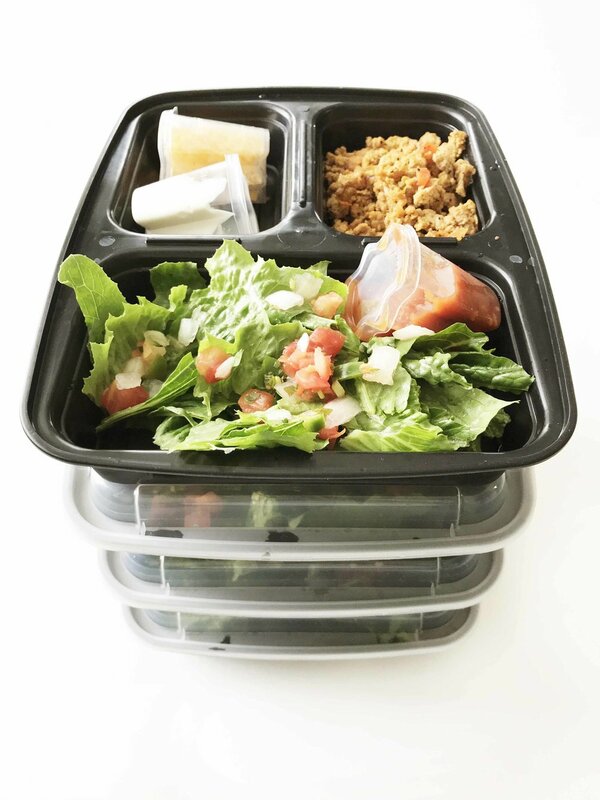 Meal prepping is one of the best and easiest ways to set yourself up for success with healthy eating through the week. It's easy to find an excuse not to cook meal after meal. But, it's hard to find one when you've already put in all the hard work and effort. My mom and I are planning to go low carb and keto for a month, starting tomorrow. So today I'm busy getting some things ready for the week to come. 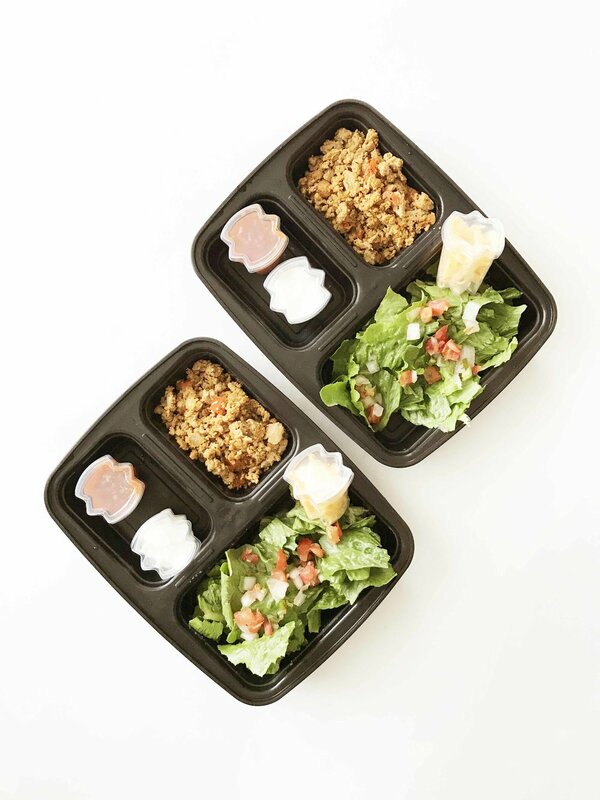 This week, our lunch will be these Low Carb (Meal Prep) Taco Salads. The idea came from my mom actually! When we were discussing low carb and keto friendly options she mentioned a specific way that she used to like eating healthy at a local tex-mex restaurant. So, this salad is basically my version of the salad she had described. It's a perfect salad for meal prepping too since there are just a few individual condiments along with the lettuce and meat. You don't have to heat anything up when it's time to eat either! Just grab-n-go, toss it all together and enjoy it. That isn't to say that if you wanted to reheat the taco meat, that you couldn't. Because you absolutely could. If you wanted to add even more healthy fats to this salad, toss on some avocado slices or guacamole! I love this salad. It's got a little bit of everything I love right now. From the greens to the meat to the cheese and all the salsa and pico goodness to boot. Unfortunately, in my excitement... I completely forgot to take pictures of the limes with the salads. Boo! Lightly coat the inside of a large skillet with non-stick cooking spray and heat over a medium-high heat. Add in the 1 Lb. 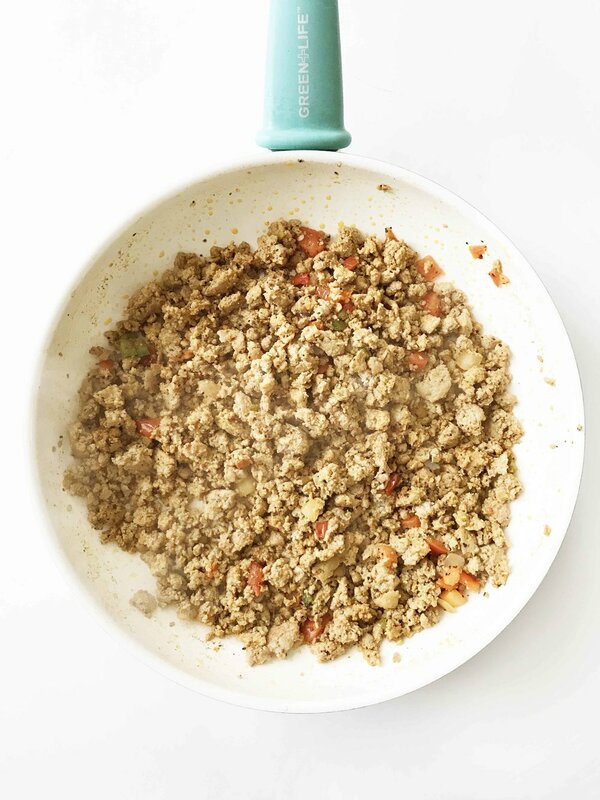 Ground Turkey and cook to brown. Once nearly done, add in the 1/2 C. + 2 Tbsp. Pico and 1 Tbsp. Taco Seasoning. When the meat is fully cooked, remove from the heat and set aside to cool slightly. While the meat is cooling, prepare each of your salad kits. Each kit should have 2 C. Romaine Lettuce, 2 Tbsp. Salsa, 2 Tbsp. Shredded Cheddar Cheese, and 2 Tbsp. Plain Greek Yogurt. Divide the taco meat evenly among the salad kits. Seal appropriately and store in the fridge for up to 3-5 days to enjoy!